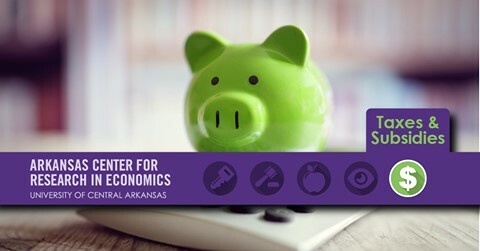 Comprehensive reforms – not special tax incentives – are key to making Arkansas a more economically competitive state says Jeremy Horpedahl, ACRE Scholar and UCA Assistant Professor of Economics, who recently discussed Act 822 with Paul Williams at Law360. This act, sponsored by Sen Bart Hester (R-Cave Springs) and signed by the governor, includes many of the provisions suggested by the Arkansas Tax Relief and Reform Task Force last year. In the (gated) article “Ark. Sends Remote Sellers, Corp. Tax Overhaul Bill To Gov.,” published on April 8, 2019, Horpedahl explains how broad based reforms like the ones included in SB576 are good policy. If you want to see more of Horpedahl’s work on tax issues, you can view his author page here. If you want to see more of ACRE’s work on these and related issues, go here.